Simplicity & flexibility at its best. Since 1992, the ActronControls team has been providing premium controls and components to Australian hotels, with our specialist knowledge earning us a reputation for innovation, quality, and performance. Designed and manufactured right here in Australia, our products are made with Australia’s unique requirements in mind. The simple solution that meets every need. When it comes to making controllers user friendly, they need to be flexible and simple to use. That’s why when it comes to the B series, simplicity is key. Simple to use. Simple to install. Simple to service. 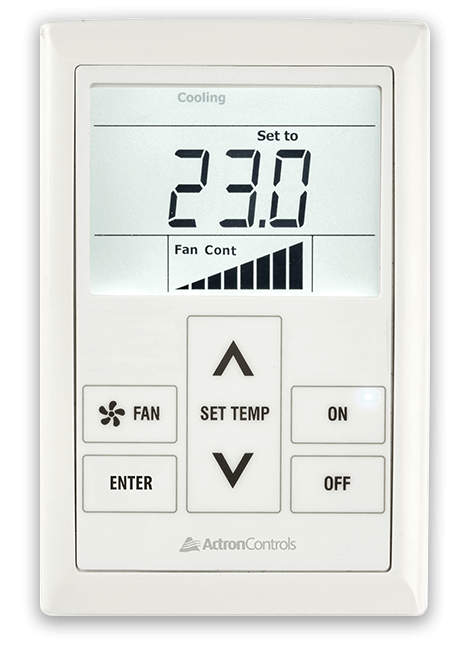 A single stage air conditioning controller, the B series features a simple and elegant design that is easy for everyone to use. And should you require specific features, the B series is also extremely flexible. Depending on the model you select, the B series can be customised to provide a host of different functions to suit your needs – the choice is yours. And best of all, the B series is designed for universal use, able to integrate with the majority of major HVAC brands used in Australia. This means that when it comes time to install the B series, it’s as simple as plug and play. We know the importance of being flexible. When it comes to picking the right control solution, every premise has its own specific needs. And when it comes customising the B series to suit your needs, we do so with market leading response times, because we know how important it is to have you up and running as quickly as possible. With HVAC controllers, often times too many choices can be a bad thing. 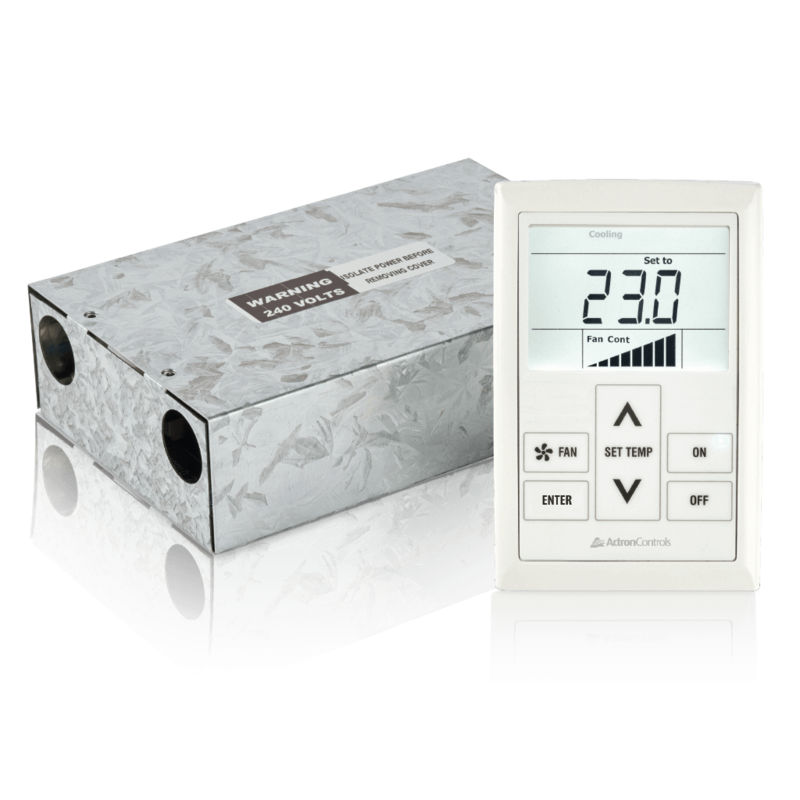 For example, when controlling the HVAC system in a hotel room, the last thing you want is a controller that your guests find confusing and hard to operate, leaving them frustrated and uncomfortable. In many cases, all they need is a simple controller that allows them to turn the system on, set their comfort level, and get on with their evening. Nothing less, nothing more. 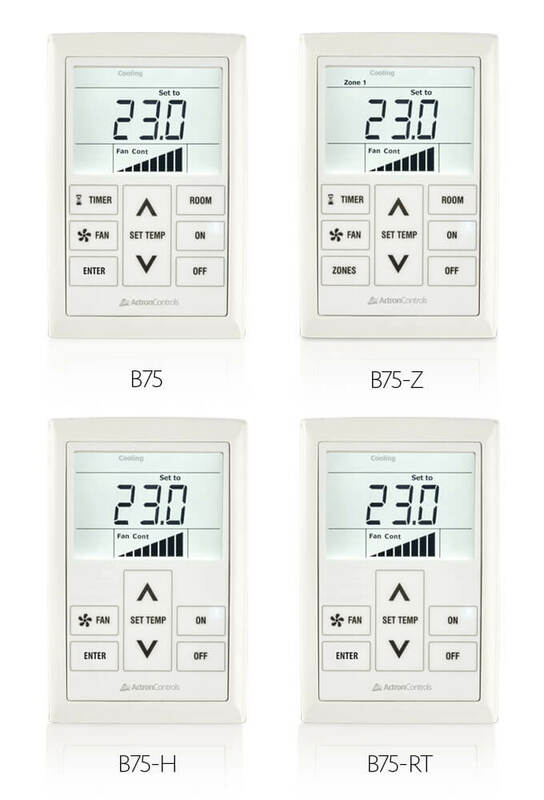 That’s why the B series comes with a simple and intuitive design, a clear and easy to read display, and controls in plain English, all of which make controlling comfort a breeze. And in some cases you may prefer to automate the whole process. 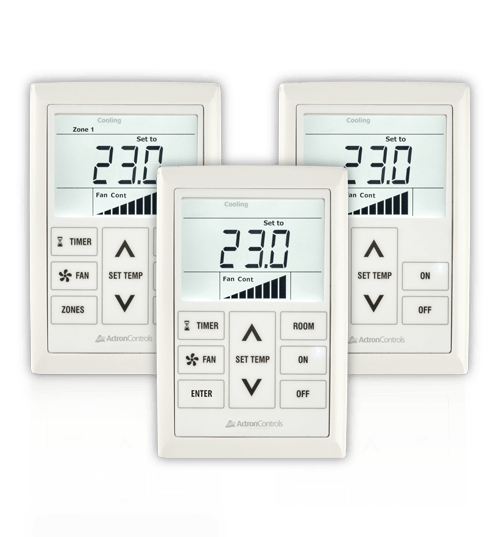 With the B series that’s not a problem – using sensors or a room key, you can set the system up to be automatically to turn on at a specific temperature without the user having to do a thing!